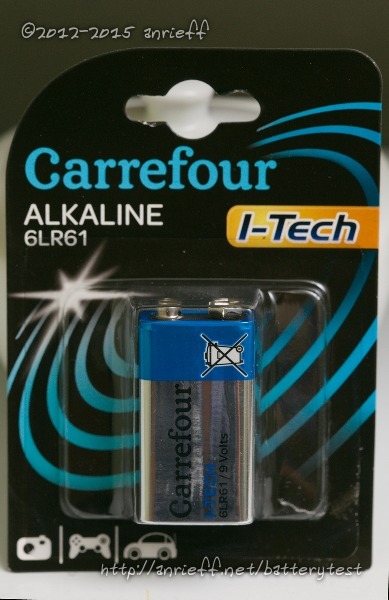 This battery, along with its near-identical twin, were bought within 2 months from one another, from different Carrefour stores. They are closely related: both are stated to expire Dec 2019 and are identical visually. Yet both the price and the performance are significantly different. 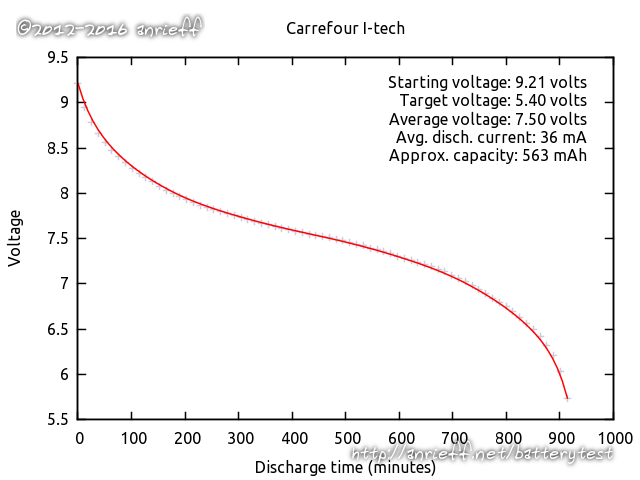 This one, bought Oct 2015, costs ~€1.50 and clocks 565 mAh. The other one, bought Dec 2015, costs just ~€1 and gives out 515 mAh.